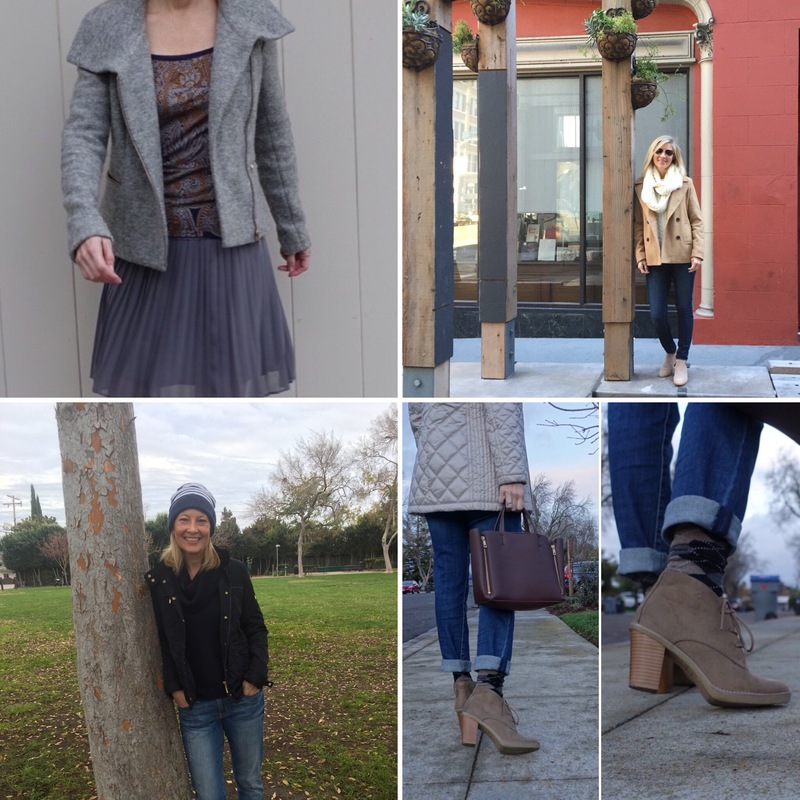 During January, I participated in a style challenge on Instagram. I had never done one before, I had seen the tags “wearwhatwhere….insert month,” but wasn’t entirely sure how it worked. 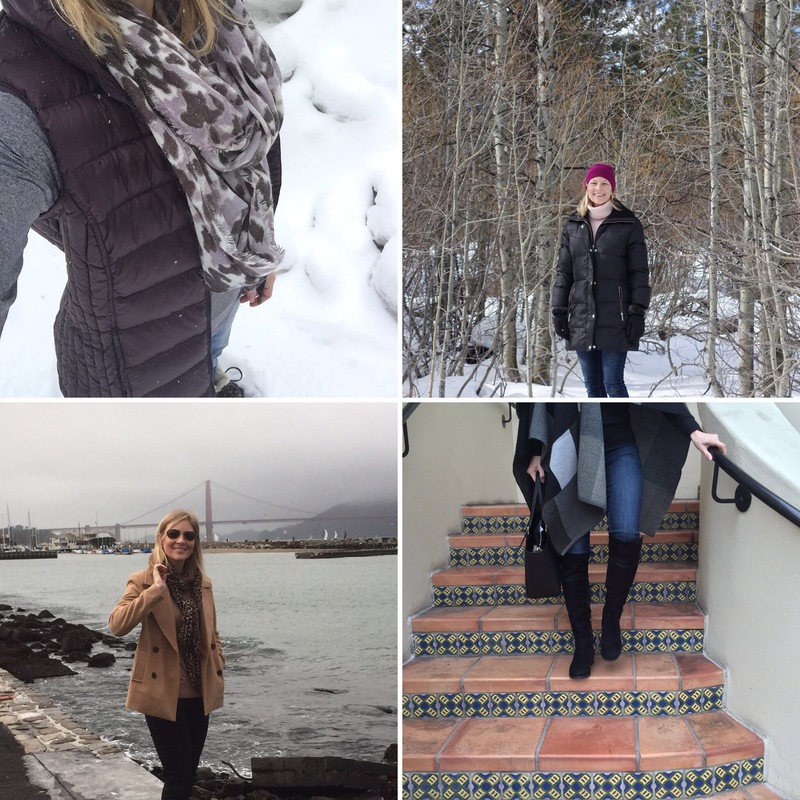 When I saw the list of prompts pop up on the feed of someone I follow, I was intrigued, and decided it could be an interesting way to shop my own closet, come up with new outfits, and see what other people were doing with the same prompts. You were free to interpret the prompts any way you want. Following are some of the outfits I posted. I like these in part because of the backgrounds or the the setting, and they were real outfits I wore in my everyday life go out and do things. The “style challenge was fun, and in January, I had plenty of time to figure out how to meet the prompts. 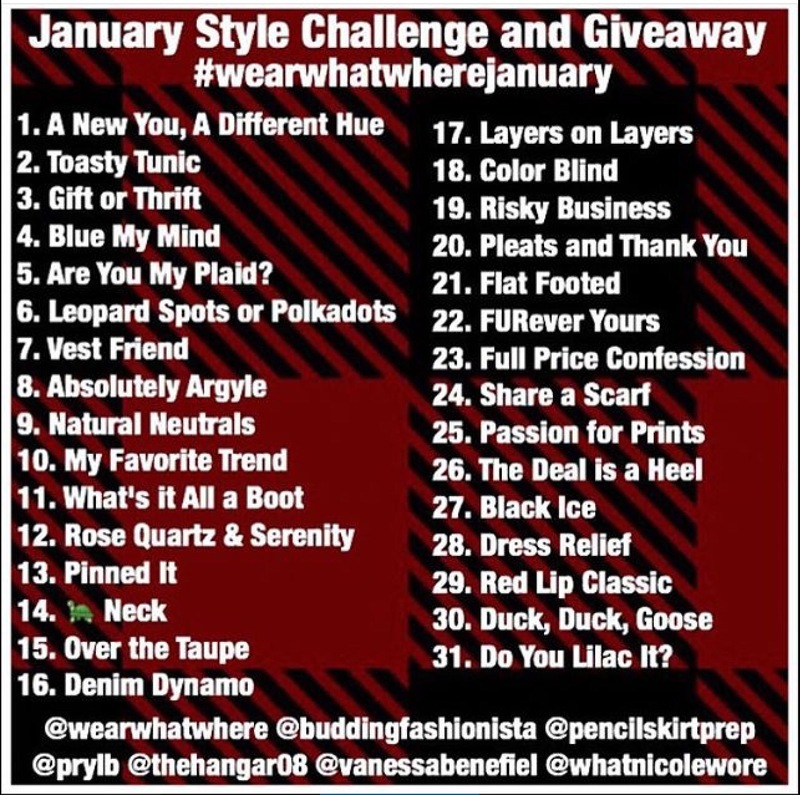 I’m not sure I’ll be able to participate everyday in February and hereafter, but perhaps when I do have the time, I’ll continue to posts photos according to the prompts, but much of the time I will continue with my own wardrobe. It is a contest, though, and there are prizes, so it is tempting to keep it up. And it is fun to try to see what you can come up with and what others come up with. Have you done any of these challenges? Do you still? What did you think?